We received 10-16″ of snow yesterday and through the night. Temps for the weekend will be in the teens with lows in the single digits. THE GOGEBIC RANGE TRAIL AUTHORITY reports groomers will be out today getting the trails in shape. If you see a groomer please pull over and let them pass. Trail 2 from Hurley to Ramsay Crossing is very good was last groomed 2/7/19. Please do not ride on sidewalks near Holiday and try to keep the noise down in town. Trail 2 from Ramsay Crossing to Wakefield is good was last groomed 2/8/19. PLEASE REMEBER TO CROSS US HWY 2 IN THE CORRECT LANE OF TRAVEL, DO NOT BLOCK HWY TURN LANES! Wakefield to Marenisco is very good was lasted groomed 2/8/19. Logger had plowed 3 miles east of Wakefield but as of last weekend they seem to have stopped plowing. Groomers did groom a path through the Great Lakes Road high-line swamp, but be advised off-groomed surfaces will be wet. Groomers have been able to go across due to our cold weather. YEILD TO LOGGING OPERATIONS!!! Trail 8 from Bingos to Tula Crossing is very good and groomed daily. Bingo’s is closed and has no gas…. Trail 160 from Walmart to Montreal River (WI) is very good last groomed 2/5/19. This is their most scenic trail and a treat to ride! Stay on the trail in the farm fields. Over 25 landowners are involved to make this trail a reality, please respect them and ride responsibly. Trail 11S is in very good condition it was last groomed 2/6/19. It is groomed all the way to the WI line. This 17 mile long trail has 2 stop signs and is a wilderness tour. The southern 3 miles get thinner, but remains in good condition. Trail 11 N is closed indefinitely. THE GOGEBIC AREA GROOMERS Trail Conditions are good to very good. Trail 1 North is very good. Trail 1 South-Remember there is a re-route from the North corner of the lake to West Shore Resort. Conditions are great from there to Marenisco. Trail 13 N & S: Good to very good. Trail 102 is very good. Trail 100 is closed to Logging this season. WATERSMEET U.P. THUNDER RIDERS report trails were last groomed on 2/7/19. Trails are groomed daily and are in good to very good condition. We do have a wet area 25 miles west of Watersmeet on Trail #2 so please use caution. Trail 2 west of Watersmeet – Very good condition with the exception of a wet area 25 miles west of Watersmeet on Trail #2 so please use caution. Trail 2 east of Watersmeet- Very good condition. Trail 13 south to Cisco Chain- Very good condition. Trail 3 south to Land O’Lakes- Very good condition. There is lots of traffic on this trail 100+ sleds are passing the groomer. It’s very hard to keep smooth, use caution on bridge approaches. Trail 3 north to Paulding/Bond Falls/Bruce Crossing- Very good condition. PLEASE STAY ON MARKED TRAILS. RUNNING ON UNMARKED TRAILS CAN RESULT IN LOSING EASMENT OF THE TRAILS AND ALSO A POSSIBLE TICKET FOR YOU. Western U.P. Visitors Bureau shared a post. Love the black river falls! Saxon Falls on the Montreal River. Michigan's Upper Peninsula. 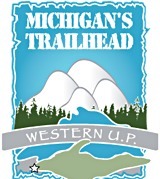 Western U.P. 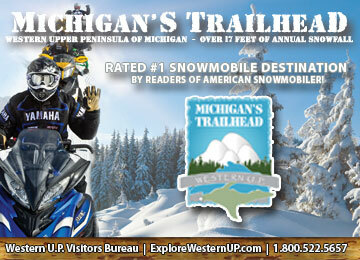 Visitors Bureau shared a link. Please take a few minutes to take this survey: This survey is designed to gather information about snowmobilers and their thoughts and experiences on Michigan Snowmobile trails. It is designed to understand riding habits and how trails can be made safer for riders. Your responses are completely anonymous so please answer honestly. Thank you for your participation! Lots of variables left out. Oh well I am sure they get the gist of what they want. Thought it would be fun to take this survey and see if any questions apply to me. Living on Mackinac island I ride every single day during winter not for fun but as regular transport to and from work etc. but we dont have any snowmobile trails, only public roads. Gogebic Range Trail Authority - ORV & Snowmobile Club Gogebic Range Trail Authority - ORV & Snowmobile Club is attending an event with Scott Segel and Steve 'wfo' Hamilton at Wakefield VFW Post 9084. Thank you guys for all of the hard work you put into the trails!! Well deserved 👏! I know what you were talking about. Thanks for your help. Just want to say thank you Steve 'wfo' Hamilton and Jerry Nezworski. I was extremely honored to have accepted this great gift. I think all of our volunteers do what they can for this great club. Being a little (okay a lot) choked up as you were presenting this to me, no words were able to be spoken at the presentation. Thank you again guys. Gogebic Range Trail Authority - ORV & Snowmobile Club Gogebic Range Trail Authority - ORV & Snowmobile Club shared a post. Looking for something to do tomorrow before our 45th Anniversary Land Owner Banquet & Fundraiser at the Wakefield VFW Post 9084? Go see our sponsors at Blackjack Mountain - Big Snow Resort for some awesome racing! Can watch most races from the Loggers Lounge bar/restaurant! Banquet is tomorrow at 5-9!Good Morning from BIG SNOW! The snowmobile races are at Blackjack Saturday and Sunday 9am-4pm, with Loggers Lounge open for food & drink! No admittance fee for the public! The fresh snow helped refresh the hill and we are open today through Sunday 9am-5pm with amazing spring skiing conditions at Indianhead Mountain! Indianhead Mountain has a total of 19 runs and 3 lifts open today, 13 are accessable with lifts, 6 are hike in only. The open lifts are the Chippewa Double, Winnebago Double and the Magic Carpet. There is no night skiing this weekend. We are open until 5pm all three days at Indianhead Mountain! Live Music this weekend with Corey Carlson, SATURDAY, 3:30pm in the Sky Bar, Indianhead Mountain! 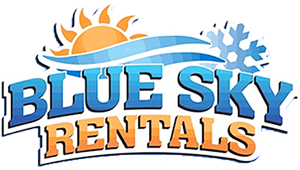 **** Local RATE Available April 12th-14th •Local Skiers - (proof of residence required) is $30 per day. Includes residents of Alger, Ashland, Baraga, Bayfield, Chippewa - MI, Delta, Dickinson, Douglas, Gogebic, Houghton, Iron - MI, Iron - WI, Keweenaw, Lincoln, Luce, Mackinac, Marathon, Marquette - MI, Menominee - MI, Oneida, Ontonagon, Price, Sawyer, Schoolcraft, St. Louis (MN) and Vilas Counties. Does anybody know how much tickets are to fundraiser?